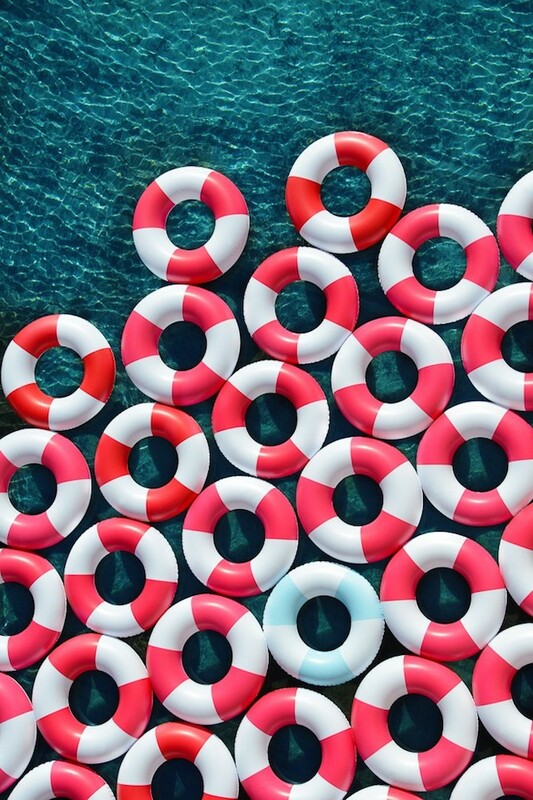 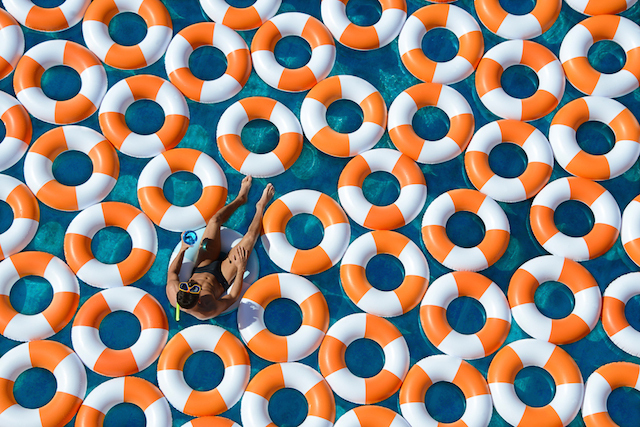 After his unexpected series in Antarctica, photographer Gray Malin reveals his new summer-like. 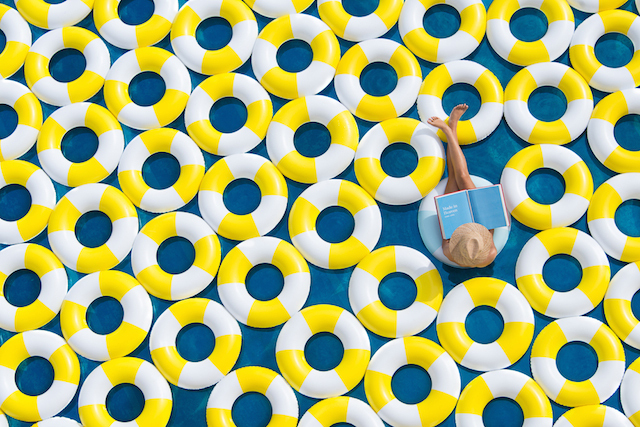 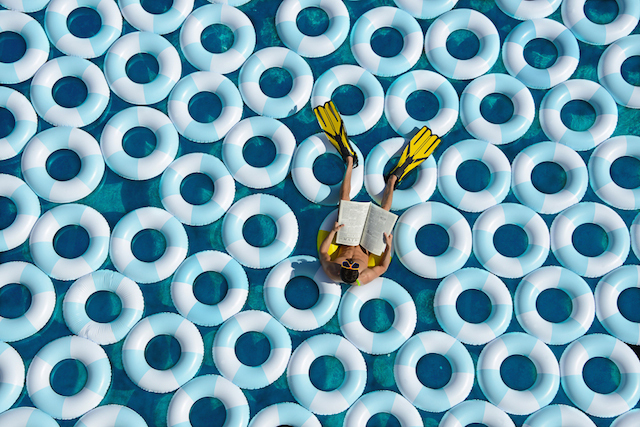 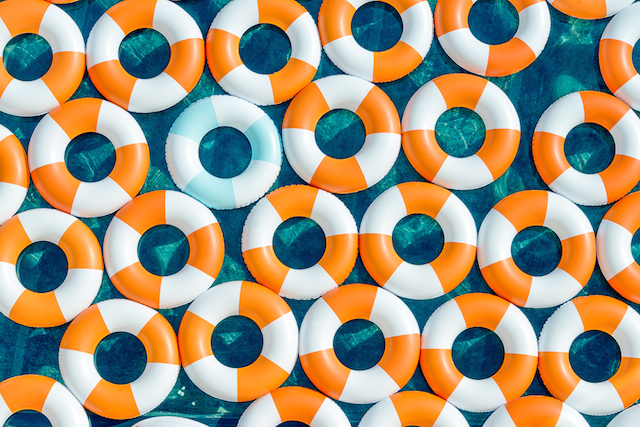 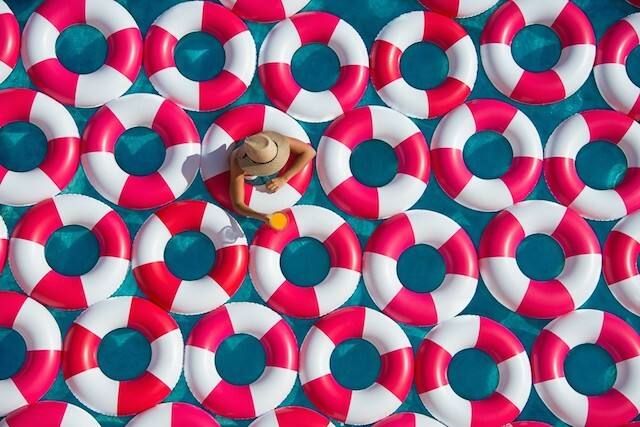 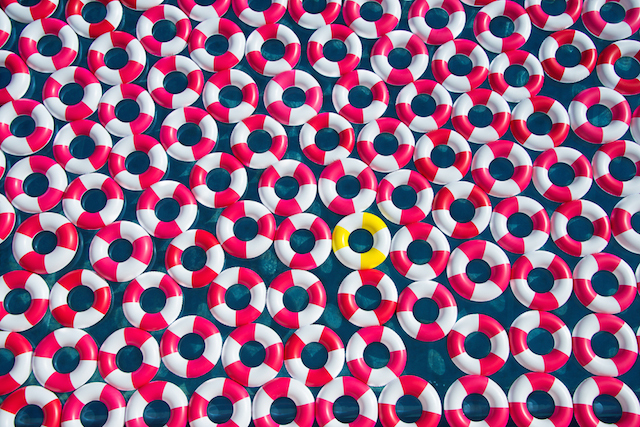 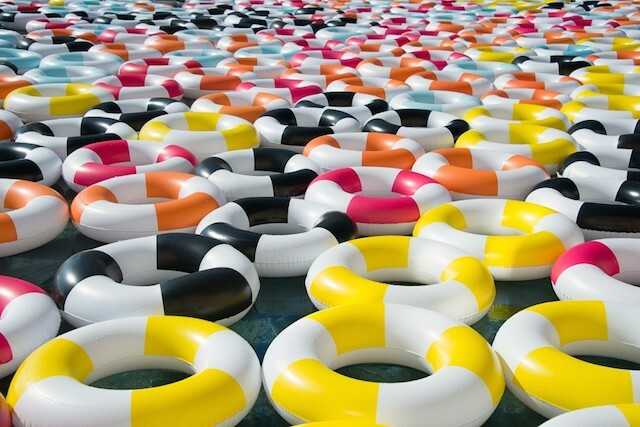 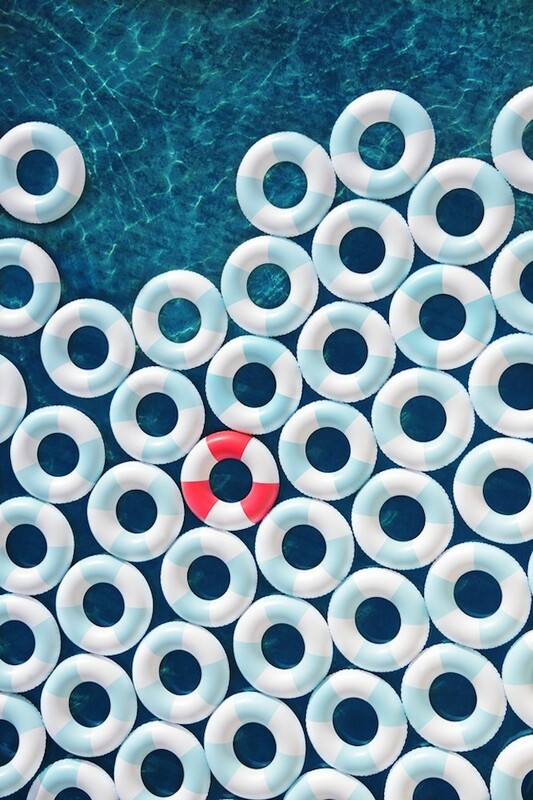 In the middle of a pool covered by colorful rubber rings, vacationers sip cocktails or read the newspapers while taking sunbathing. 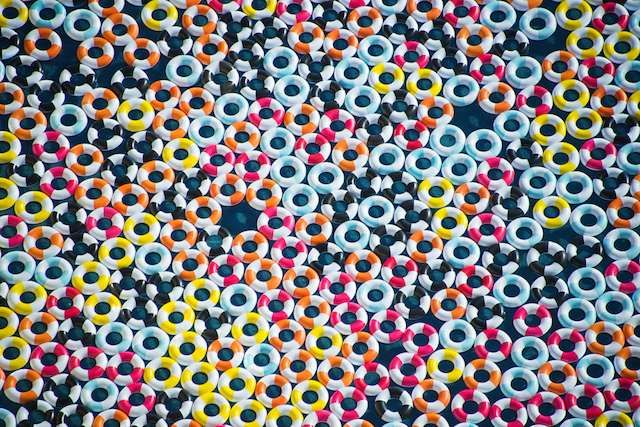 The all is taken from above giving a beautiful visual effect.